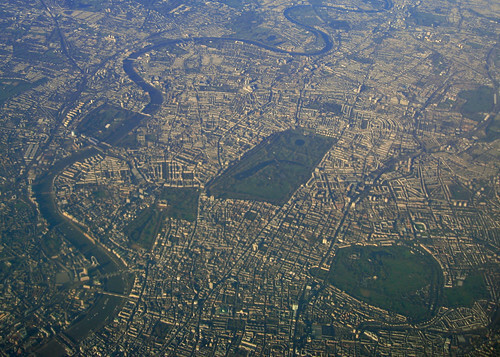 ‘Bird’s eye view of London’ by Chung86, from Flickr, under Creative Commons. If you built a city of beer, what would be the foundation? A history, surely; or a reputation perhaps, one lost but now regained. Solidify that historic, ambitious miasma with the labour of human beings, captains of industry, greedy tyrants, honest souls and bind with the thirsty salt of the earth that build empires then pop down the local. What shape should this city be? A tower to the moon of pure, unfettered ambition, or a wide, broad, shallow and inclusive plain that absorbs every drop. Perhaps both: a free space where ideas germinate and grow, defended by rigid and steady accomplishments. It sounds like a fine and noble place, but it isn’t the city that London beer has built. What we have is a hot mess of ideas, ideologies, methods and clans. A furious diaspora of beer styles, none of which have ever been agreed upon, spreading quickly and drunk thirstily by an audience with no upper threshold for things new and/or good. The whole thing isn’t really a city at all. It’s a river, forging its own boundaries with an endless tide of occasionally directionless but utterly unstoppable enthusiasm. London’s beer river courses, much like its real-world counterpart, in wide oxbows and sharp bends, towards one favoured new style, brand, bar, pub, or another, looking from above more like a seismograph of some earth-shattering event. In some ways, it is. It’s into this whirling, unforgiving torrent that the plucky yeast of London Beer City was pitched, an ambitious strain combining the very best of UK beer into something almost magic, or at the very least difficult to comprehend. Just how could they all work together, or alongside each other, and slake the thirst of thousands? London Beer City had many different events, but also so many different types of events, catering for the longest or shortest of attention spans, the shallowest of pockets, and the thirstiest of palates. Now it’s over, and we’ve all tried to assemble the beer-sodden notes, smashed festival glass fragments and pork scratching crumbs into some kind of identifiable map of what it was, and whether it really worked. Well, there’s no question that it worked. What was tapped at the beginning of London Beer City was not some terrifying, million-pint vat of beer, but rather London’s thirst for beer of all kinds in all kinds of places. We sustained that thirst for nine days, and I dare say next year it could last for fourteen, or even more. The real questions are: where is the river taking us next, and how will we persuade people not to cross it, but to sail on it with us?